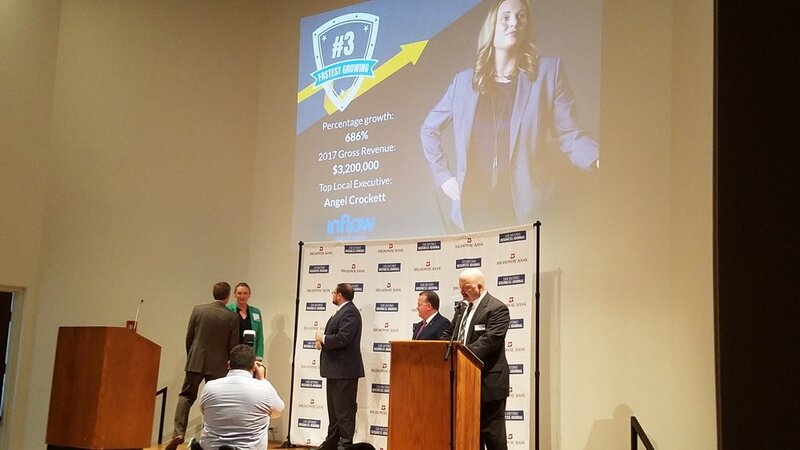 On June 28, Inflow, along with 49 other companies, attended the San Antonio Business Journal Fast Track Awards. 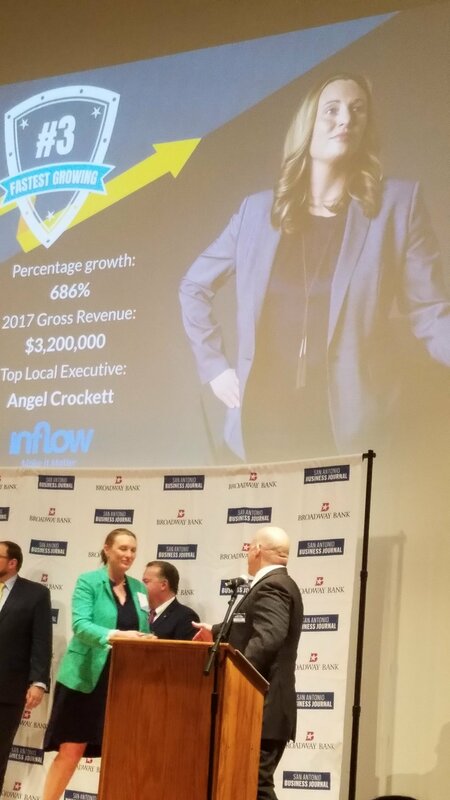 The 2018 Fast Track award recognizes the city's fastest-growing companies, determined by the percent revenue growth from 2015 - 2017. To be eligible, companies had to be an independent, public, or privately held corporation; headquartered in San Antonio; fiscal growth over the fiscal period of 2015 - 2017, and revenue greater than $100,000. Inflow, placed 3rd with a revenue increase over the last two years of 686%. Inflow has combined best practices and processes from the cyber, science, engineering, and intelligence realms to create a truly unique trade-craft. This unique process attracts agencies, such as the DIA and ATF, to Inflow for their support. One example includes Inflow's support to the ATF in identifying the Austin Bomber using IT and Intelligence processes. Additionally, Inflow has created a "sticky" culture. Angel Crockett explains. "Our industry has a very bad reputation of not taking care of its employees. I wanted to create a new way of doing it." Inflow has integrated modern technology company-wide to open communications to every Inflowee (Inflow employee). This offers the type of communication to maintain contact and provide emotional support to one another - especially those Inflowees who are overseas. This is demonstrated in the efforts Inflow takes to find a role for each employee who returns from oversea deployment. It is demonstrated in the welcome boxes and care packages which are sent to Inflowees. And it is demonstrated in the "Inflowee" community being created which breaks through the barriers of geography. To see the SABJ article, click here. To see all nominees, click here.